Since its introduction, the Air Force 1 has served as more than just a basketball performance shoe. It was adopted outside the lines not long after its arrival and has since become one of the most revered and versatile sneakers ever. For many, it fits an everyday aesthetic while still being prepared for a classy night out. This idea of versatility led the Nike Sportswear design team to think of new ways to bring the icon to life. 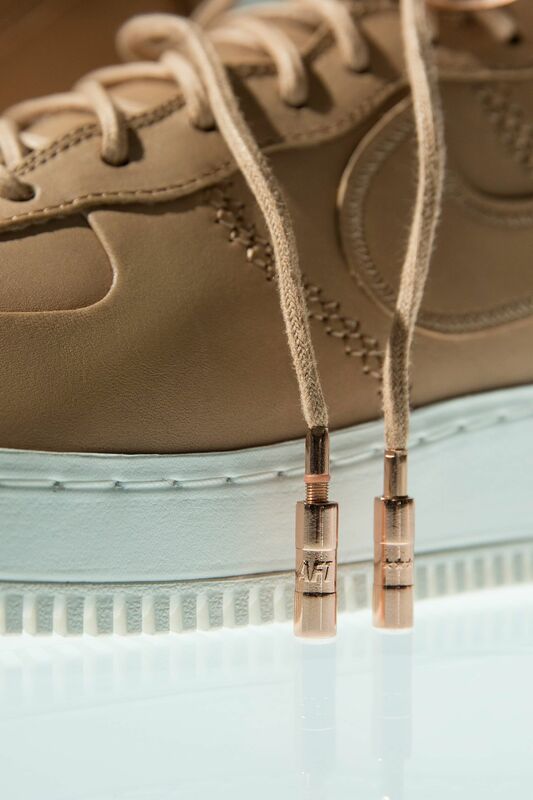 "What if we took the AF1 and not necessarily create a new shoe, but can we look at every little detail and make it as premium and luxury as possible?" 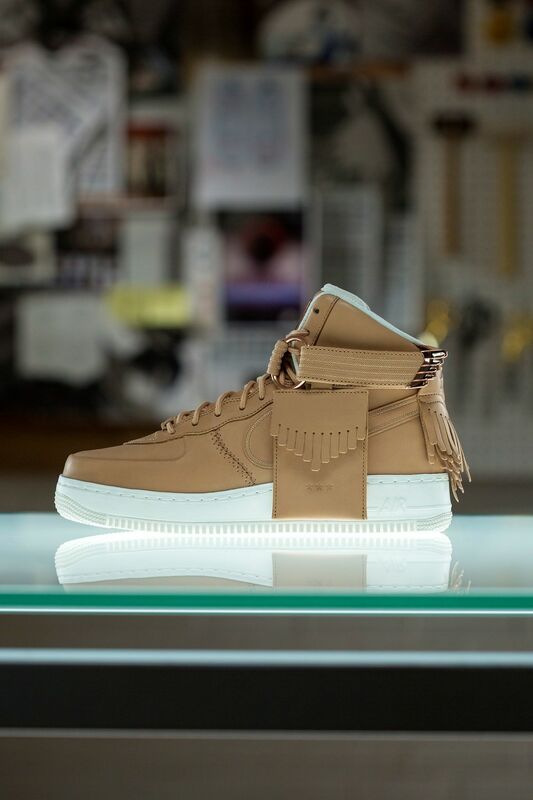 explained designer Devon McKinney when telling the story behind the new Air Force 1 Sport Lux. 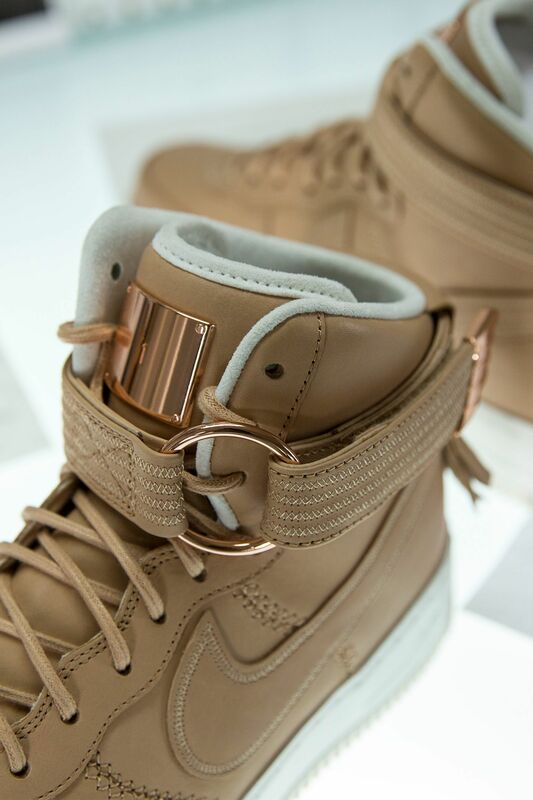 Luxury in the design comes to life in everything from the Italian Vachetta Tan leathers to the 24K Rose Gold plated collar ring, removable lace tips, dubrae and tongue badge. 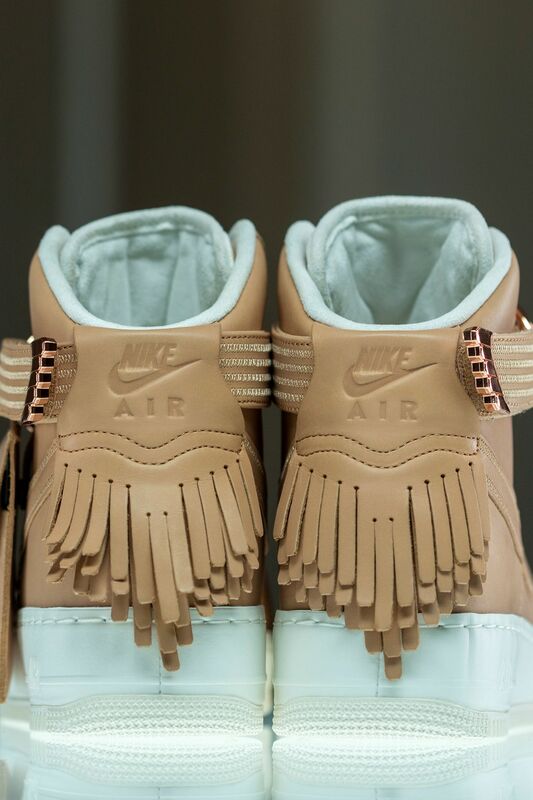 It began with obsessing over every single detail in the shoe, making sure nothing is overlooked. "The overall thought was how do we obsess over everything. It began with craft. We looked at things we maybe take for granted like the ends of the laces, the attention to detail in stitches and the way we treat edges", he shared. This idea of craft is most evident in the unique steering wheel-inspired stitching utilised throughout the upper, an idea that connected with McKinney thanks to the attention to detail and fine craftsmanship involved in luxury vehicles. 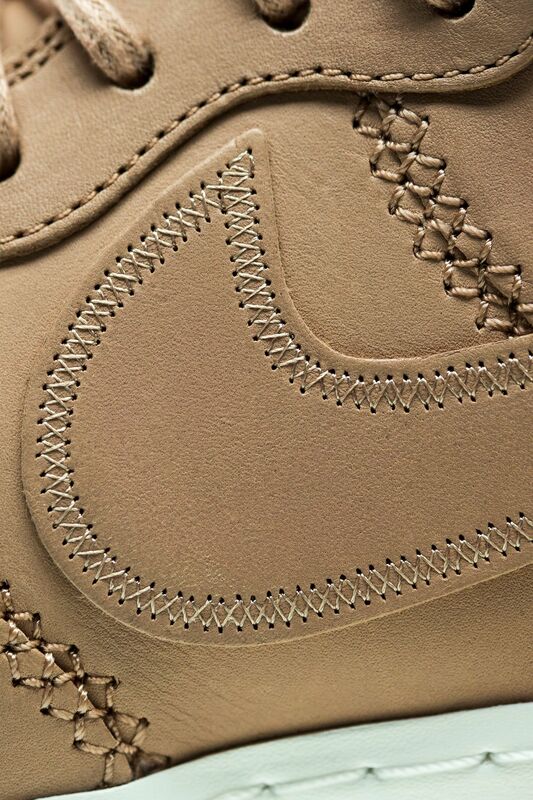 The unique stitch comes to life along the Swoosh and updated premium leather strap. Building on this initial thought, the team continued to think deeper and find ways to not only bring luxury to the table, but also innovate the iconic design. "It's about the craft but also about comfort and the performance aspect", McKinney expressed when discussing the innovation. While traditional in appearance, the design was updated from top to bottom for improved overall fit and comfort. In the upper, certain areas were deconstructed to achieve a better fit and higher level of comfort. "To provide more comfort, we've decreased the foam package. It's tighter to your foot, it wears better and it doesn't move; it's a bit more fashion forward perhaps". Underneath, drop-in cushioning takes underfoot comfort to new places for the AF1. 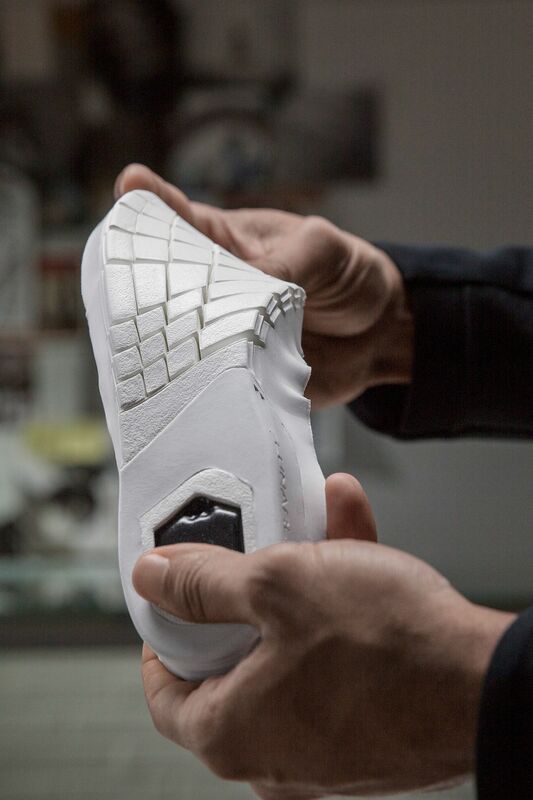 The drop-in midsole features subtle cuts for flexibility, Lunarlon foam and Zoom Air cushioning in the heel. 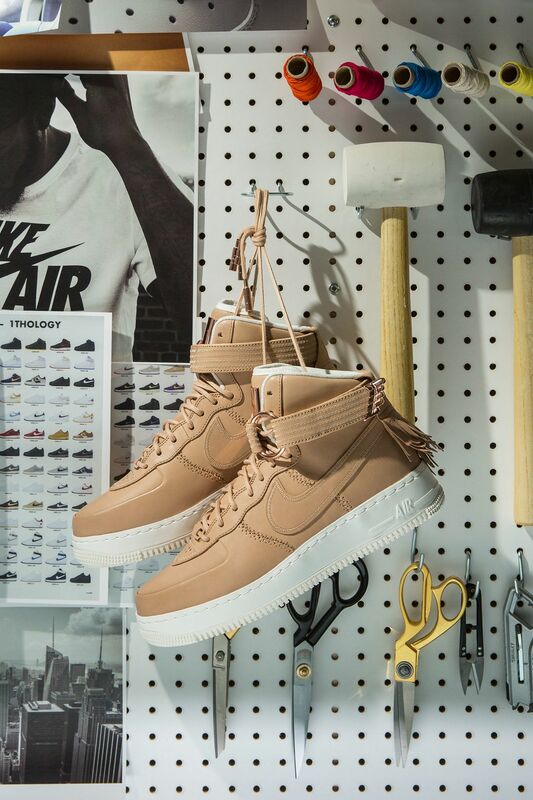 Now a complete package, the design packs Nike DNA that spans over four decades of Nike heritage; classic AF1 detailing, luxurious materials and innovative cushioning. 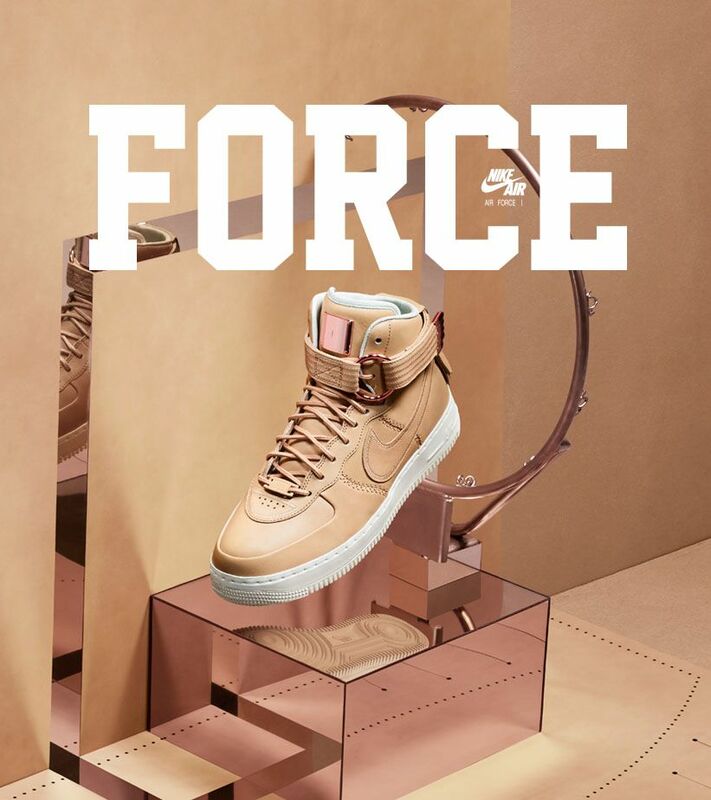 Coming together as one, the Air Force 1 Sport Lux nods to the unforgettable era that set the tone while helping usher in the next generation of Force.